The World Council of Churches has said that those responsible for killer attacks in Kuwait, Tunisia and France are trying to promote strife between people of different religious traditions. On June 26, terror attacks that resulted in more than 60 killings took place in those three countries, in three different continents. 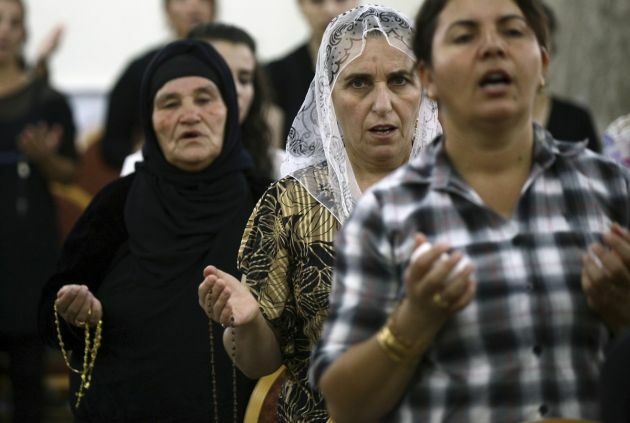 WCC acting general secretary Georges Lemopoulos said in a statement June 29 that the "intention of those who undertook these atrocities was to promote wider turmoil." The Pope said he was united in prayer with the relatives of the victims, especially those who lost family members, asking in his prayers that the Lord might give them "comfort and consolation in their trials." In the messages, Pope Francis condemned yet again "the violence which causes so much suffering" and prayed that God "might grant the gift of peace." For his part, Lemopoulus said the attacks were aimed at, "fomenting strife between people of different religions and religious traditions, and resulting in the destruction of many lives, livelihoods and communities." Although the attacks are not known to have been coordinated, those killed were slain in three separate attacks in Tunisia, France and Kuwait. In his statement Lemopoulos said, "I grieve with those who have lost loved ones, and those who have been injured as a result of these appalling acts, which have marred the month of Ramadan, sacred to Muslims everywhere." At least 38 people were killed in a terrorist attack on a beachside hotel in Sousse, Tunisia and 36 wounded (eight in a critical condition). In Kuwait, at least 27 people were killed by an explosion at a Shia mosque in Kuwait city during Friday prayers and more than 227 people were injured. After the third incident in France, police arrested four people – including the main suspect Yassin Salhi – after a decapitated body was found following an attack on a factory in Saint-Quentin-Fallavier, south of Lyon. The three attacks come just days after a spokesman for the group calling itself ISIS urged jihadists to make the holy month of Ramadan "a time of calamity for the infidels ... Shias and apostate Muslims." ISIS, claims to be fighting a war for Islam and aims its terror acts at non-Muslims and Shia Muslims.